March 29, 2017 by Beeraj Patel, Esq. Renewing a United States VISA can be a complicated process because each individual US VISA renewal follows its own set of procedures. 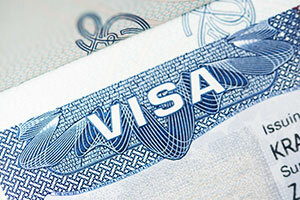 Each applicant must reapply for a VISA, including paying the necessary fees. Some applicants must complete another consulate interview. Other applicants must appear for the fingerprinting process. Other applicants have these processes waived. Since the US VISA renewal process can differ based on individual circumstances, it is recommended that individuals looking in to US VISA renewal should contact an attorney or other legal expert who specializes in immigration. If an individual is seeking US VISA renewal, they have been through the visa application process before. When looking to re-apply for a US VISA, it is important to follow all instructions from the US Embassy or Consulate where the individual applies. Individuals must complete the online VISA application and print the application form confirmation page to bring to your interview. Through the online application, the individual must upload a 2 in by 2 in photo and supply any appropriate documentation. Based on the individual VISA class, these required documents may differ. It is important to apply for the correct VISA class and provide correct documentation. Individuals must schedule an appointment for the VISA interview at the US Embassy or Consulate in the country where you live. Wait times for interview appointments vary videly based on VISA class, time of year, or country of origin, so it is recommended that individuals apply for the VISA early, as to avoid problems in the US VISA renewal process. Individuals seeking to renew their visas may be eligible, in certain cases, for the Interview Waiver Program (IWP), which allows individuals to apply for visa renewals without being interviewed in person. When reapplying for the VISA online, those looking into the IWP will be asked to submit copies of their current passport, their previous passport, two recent photographs, and any other required documentation. Also, interviews are generally not required for applicants under the age of 13 or over the age of 80. Note that any consular officers have full discretion to require an interview of any applicant, regardless of age. Before your interview, an individual must pay any assorted fees for the application process. Review all the necessary information on the website of the US Embassy or Consulate where the individual will apply to learn more about required fees and payment. When the US VISA is approved, the individual may also be required to pay a visa issuance fee. Proof of compelling ties to the individual’s home country, such as family, real estate, etc. During an individual interview, a consular officer will decide on the VISA status, and which visa category is appropriate based on the purpose of travel. Fingerprint scans of any individuals will be taken as part of your application process. After the initial interview, the consular officer will make contact if any further administrative processing is required for the successful application, which may take additional time. Most administrative processing is resolved within 60 days of the initial VISA interview. After completing the interview process, and once the individual is approved, the US VISA renewal process is over. Expect the passport with a stamped VISA to arrive via courier at a pre-disclosed destination. Renewing your United States VISA can be a complicated process. Each individual US VISA renewal is different, based on a scope of decisions made by a variety of individuals throughout the process. Remember that each family member must reapply for a US VISA, even if all VISAs are on one passport. Many applicants must complete an interview and fingerprinting process before their US VISA is renewed. Other applicants may have these processes waived. We recommend that individuals looking in to US VISA renewal contact an immigration attorney or other legal expert who specializes in immigration before looking into your renewal. Professional help can make complicated US legal processes more understandable and easy to accomplish.